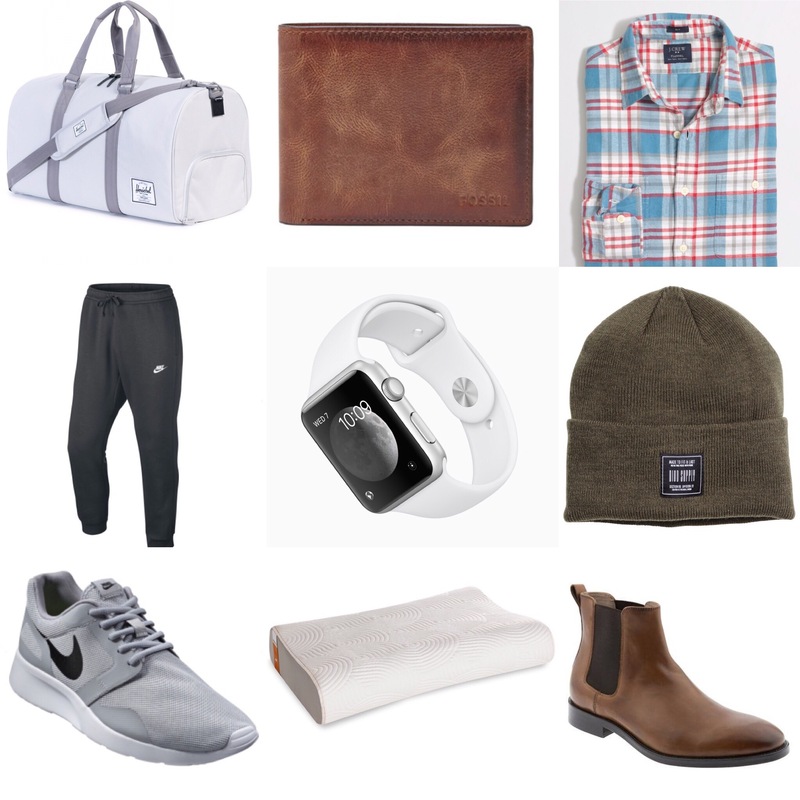 I love everything on this men’s gift guide… that could be because either Daarik has it and I know how good it is or it’s on Daarik’s Christmas list! Haha! So I kinda cheated a little bit and without Daarik knowing got some help from him (thanks honey)!! 1. I got Daarik this duffel bag I believe for his Birthday. He had been wanting one for a while and even though he wanted a leather one, the amount of times he uses it (3 times a year) wasn’t worth the price tag. So, instead I got him one I loved and he ended loving it too! 2. We both use to work at Fossil so we know the quality is there. That’s pretty much the only place we’ll buy his wallets. 3. J. Crew is Daarik’s absolute favorite store, I think he has about every button-up they have (this one included). The fit is always on point and the designs are too cute to pass up. 5. So, Daarik got me an Apple Watch for Christmas (yes, yes I am already wearing it) and I absolutely LOVE it! They’re a little pricey but if it’s something you’ll get a LOT of wear out of, I say it’s worth it! 7. Nike is pretty much the only brand of tennis shoes we wear, I think they’re just so versitle. And let’s face it, if it’s gray I’m gonna pick it– who doesn’t love gray??? 8. Hahaha… This pillow is only on this gift guide because Daarik has been asking for it, for three years!!! It’s so hard for me to gift him with a pillow though! Is there anyone else out there who gets these types of requests!?!? 9. The new IT boot (for men or women) and I am obsessed. They’re so chic and effortless, I love them! I hope this helps you all, just even the tinniest bit shop for the man in your life. Whether it be your husband, boyfriend, best friend, brother or dad! Good Luck!!! !